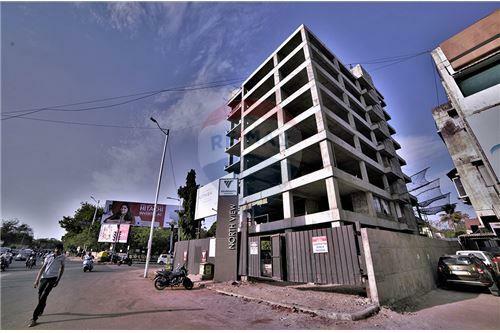 Looking for a commercial complex near University Road in Ahmedabad? 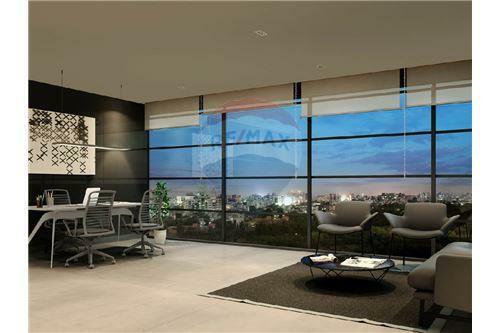 Well, the top builders and developers in Ahmedabad, Vishwanath Builders, is now coming up with the most extensive commercial office space in Ahmedabad. Vishwanath North View Commercial Complex is the place from where business begins. Earlier, it was difficult to find trendy and lavish commercial shops in Ahmedabad. With the upcoming Vishwanath North View project, you can now find affordable commercial properties in Ahmedabad from reputed builders in Ahmedabad. Keeping up with the changing trends and lifestyle, North View Complex has some of the finest futuristic features with a business perspective. It has a terrace lunch area totally dedicated to businesses with centrally air-conditioned VRV system. Vishwanath North View houses elaborately planned 25 offices to avoid heavy traffic. 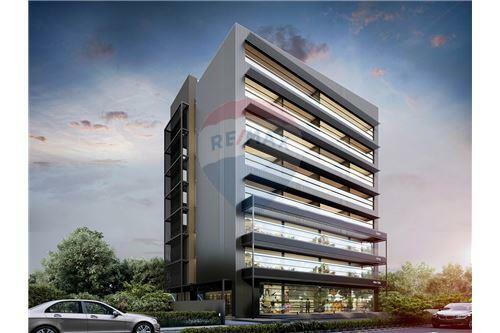 It has separate front elevator access to all the showrooms with multi-level car parking for basemen. It has 12-foot wide ramp with 20-foot wide driveway to ensure vehicles can move conveniently in the basement. 24x7 security, concierge services, CCTV surveillance, valet parking and free Wi-Fi is available. 2’ x 2’ Vitrified Tiles Flooring. 3 Phase Power with Quality Concealed Wiring and Adequate Electrical Points. 24 hours Water Supply with TATA Steel Make Bore. Separate Toilet Facility for Each Office and Showroom. High-end Automatic Elevator of MNC Brand. Clean and Convenient Provision for Plumbing Lines, A.C Outdoor Units and Electrical Cables. 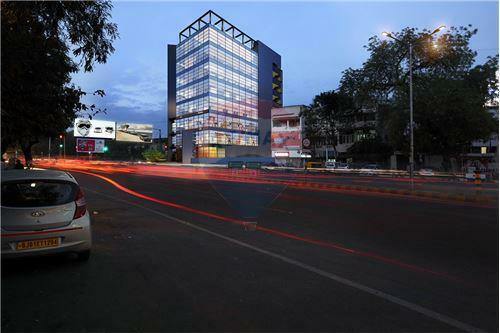 Vishwanath North View – Commercial Site at Ahmedabad Looking for a commercial complex near University Road in Ahmedabad? 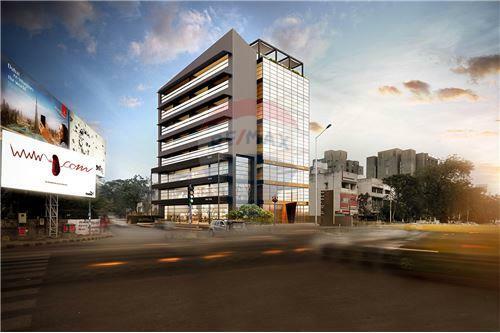 Well, the top builders and developers in Ahmedabad, Vishwanath Builders, is now coming up with the most extensive commercial office space in Ahmedabad. Vishwanath North View Commercial Complex is the place from where business begins. Earlier, it was difficult to find trendy and lavish commercial shops in Ahmedabad. With the upcoming Vishwanath North View project, you can now find affordable commercial properties in Ahmedabad from reputed builders in Ahmedabad. Keeping up with the changing trends and lifestyle, North View Complex has some of the finest futuristic features with a business perspective. 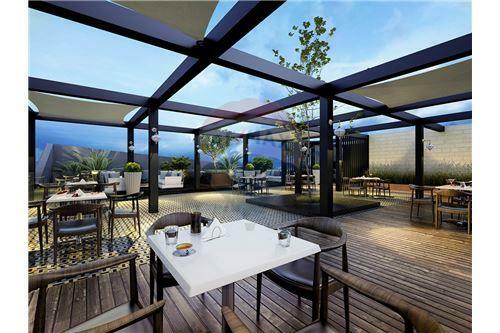 It has a terrace lunch area totally dedicated to businesses with centrally air-conditioned VRV system. Vishwanath North View houses elaborately planned 25 offices to avoid heavy traffic. 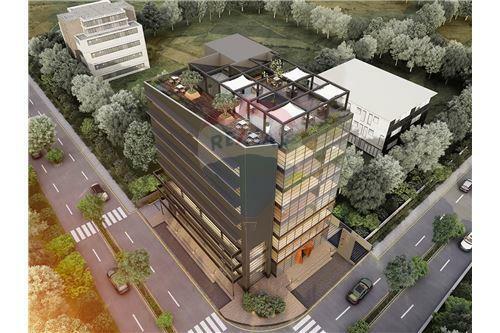 It has separate front elevator access to all the showrooms with multi-level car parking for basemen. It has 12-foot wide ramp with 20-foot wide driveway to ensure vehicles can move conveniently in the basement. 24x7 security, concierge services, CCTV surveillance, valet parking and free Wi-Fi is available. Specifications Earthquake Resistant RCC Frame Structure. 2’ x 2’ Vitrified Tiles Flooring. 3 Phase Power with Quality Concealed Wiring and Adequate Electrical Points. 24 hours Water Supply with TATA Steel Make Bore. Separate Toilet Facility for Each Office and Showroom. High-end Automatic Elevator of MNC Brand. Clean and Convenient Provision for Plumbing Lines, A.C Outdoor Units and Electrical Cables. All information provided by the listing agent/broker is deemed reliable but is not guaranteed and should be independently verified. No warranties or representations are made of any kind.